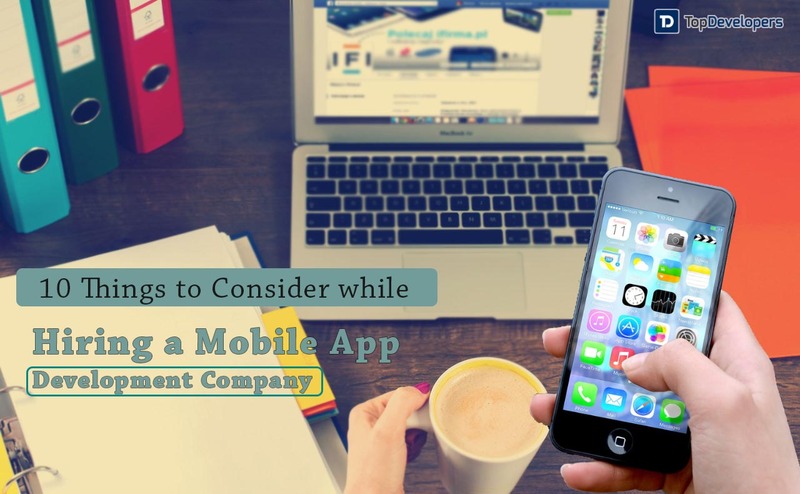 Before hiring any company for your next big mobile app development project, Check this 10 things that can help you at a time of hiring a company. It’s a universal truth; the customer’s interest towards anything is the lucrative opportunity for the businesses to reap the rewards and awards. So, about where the world is moving? The answer is clear, it’s leaning towards mobile. The advanced technologies come and go, but mobile applications are here to stay for some time. They have become a revenue-generating machine when everything is done right. Are you also gearing up to build a mobile app to gain profits? If so, congratulations, your future app may fall into the category of the famous ones, earning millions of dollars every month, only when your unique app lives up to the user’s expectations or meets their never-realized needs. Another aspect of possibility is when the team you are about to hire is capable of building the app that adds value to it because app development is not just about crafting an app and uploading it onto the store. It’s desirable to get associated with mobile app development companies that cost a pretty penny, and not just build your app but also help in maximizing the revenue, as opposed to the app developers that save hundreds or thousands dollars, but the app might prove of less worth resulting in a limited success or a complete failure. In a nutshell, the opportunities are galore, but hiring an app developer is a key to accomplish the goal with mobile app development. You need to hire the experienced developer team, whom you can trust to engineer your app. Can I have access to the portfolio? It makes no sense to hide the name of the apps developed by the company and their links to the app store if the app development company has built them. If it’s not revealed, it means there is something fishy going on, which you need to ascertain. 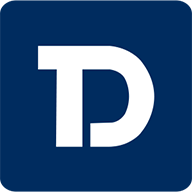 Directly ask for the examples of the mobile applications developed by the company to assess their UI/UX skills, domain expertise and app development experience, which automatically reflects in the app and that can tilt the equation in favor of the app developers. Can you provide some client references? There are events when developers have not built the app from the scratch and enhanced the existing apps, but the companies neither highlight the same nor the businesses have any way to find out the same. That’s where directly speaking to the client of apps is a brilliant idea, which helps you verify what was their role in the client’s app development. Again, a reliable partner will never hesitate to provide the client contact information to get the real feedback, if asked. Communicating with the past and former clients unveil the important data like- if the project delivered on time, any communication issue that exists, the work ethics, they stayed within the budget and their technical prowess, which mirrors the real capabilities of the developers. How will you integrate monetization features into my app? Mostly, there are two ways to generate revenue out of the mobile applications- Premium apps and freemium apps. In the former one, you can opt for the pay-per-download model, where based on the range of the features, the price of the app will vary, while in case of the latter one, in-app advertising, in-app purchases, subscriptions, and sponsorships are the more prevalent ways to monetize. You should explicitly ask and specify the developers how you want to build and implement the features in the app to generate the revenue progressively. May I know the type of smartphones and devices do you use? It sounds a bit peculiar to see what the smartphone usage has to do with the app development, but it provides you rich insights about how updated the developers are with technology and keep pace with mobile innovations. See how? Expecting from the Android app developers to have an Android phone at their desk is not a big deal. The team when actually starts working on your Android app, if unaware of the nitty-gritty of the Android device, then they cannot use the device features efficiently during app development. Similar is the case with iPhone app developers. How will we communicate during app development? The differences in time zones make it difficult to stay connected with the developers and get the on-going project updates on a regular basis. However, the seamless communication is critical to the quality app development to ensure the development won’t get wide of the mark and has all the needed functionalities. Before signing the deal, be clear to the point how often the team is going to interact and using which communication channel, be it a Skype, email, live chat, or call. Also, if there is any project management tool they use particularly to keep track of the project. Are the developers maintaining a pace of innovative technology trends? In the era of emerging technologies, no user prefers to download and browse an ordinary app unless it offers amazing content. When you are planning to integrate GPS technology, cloud integration, 3D elements, chatbots or social media sharing features to the app, make sure the team is capable of developing and implementing them. What will be your app testing strategy? With no doubt, you don’t want to market an app with a bundle of bugs, crash issues, and broken features. Ask the developers for the testing methods that they will use and how they are going to beta test the app to guarantee the app will win the users when it’s uploaded onto the app store without any glitches. Also, the app must be tested on the device for which it is built and if bugs are found, how speedily the team is going to resolve them. Who will take care of the app submission process? The job of the app developers won’t get finished when the app is developed with fantastic design, brilliant functionalities and seamless navigation and the beta-tested version approved by you. Still, the final step to make it to the app store is left. The submission of the apps to the app stores is not an easy endeavor. Instead, it’s a long process through which developers have to go through following the app store-specific guidelines. Obtain your own subscription or account on the app store, and confirm that the team submits the app under your name so that the app increase your branding and you can release the updates anytime. Does the company retain the source code? As you pay to shape an app idea into a full-fledged solution, undeniably the app is yours, and no one can copy the data or features included in the app. However, prevention is better than cure, so you should confirm with the company that during the development, the company will maintain the app idea confidentiality and, for the app developer, you will own all the rights reserved to the application and get the source code. How about the documentation and payment? Signing a written agreement with which both parties you and the development company abide by, is a must have to avoid the conflicts or legal jargon that may arise at the later stage of the final payment. The agreement should explicitly specify what will be the hourly rates or the method of costing, how will you pay, how many features the team is going to build under the hood and how long the company will take to complete the same. This way, neither the project will get out of the scope nor companies can demand extra dollars to build a feature which is already mentioned in the agreement. It doesn’t end here, security to is one of the factors that must be thought about in detail especially if you are developing an app that involves money transactions. But summing it up, hiring an app development company should be done with utmost care and at least after thoroughly looking into the aspects pointed out above. These are some of the most common ones that you as a service seeker must look into, but with different requirements, there are different aspects that must be looked into. Let us know your requirements and we will help you hire an app development company that suits you the best.